Euro 2016 is not over for another 12 days (although it is for England) and the new Premier League season doesn’t start for over six weeks, but some Arsenal players are back in training already! Seventeen-year-old Gunners midfielder Vlad Dragomir shared this picture on Instagram on Tuesday evening. Just started the new season ??? The young Romanian was wearing Arsenal’s new training kit at the club’s London Colney base. 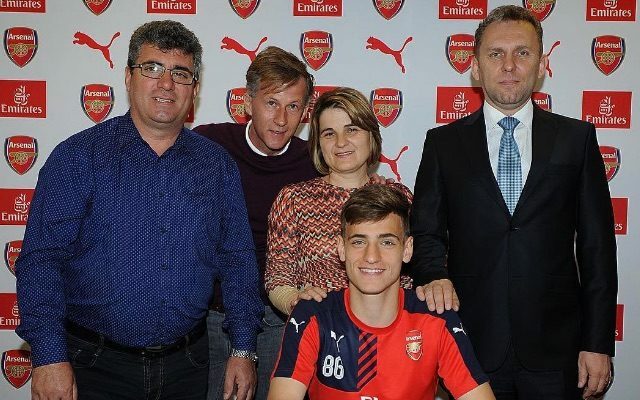 Dragomir has yet to play for the Gunners senior team, but he signed his first pro contract in April, according to the Metro. Arsenal’s season begins at home to Liverpool on Saturday August 13, although the date of that match is subject to change because of potential TV coverage.